This is a one of a kind property!! A private getaway yet minutes from everything. Beach, great shopping, the fun city of St Augustine... everything you could want! 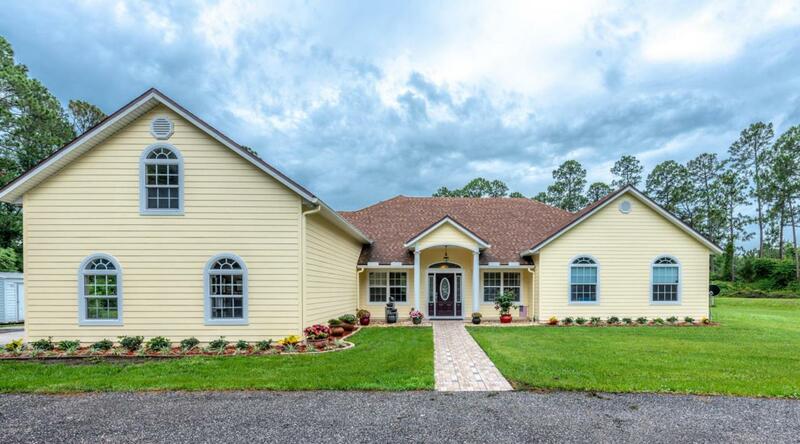 Situated on over 5 acres, this is a custom retreat to call home. 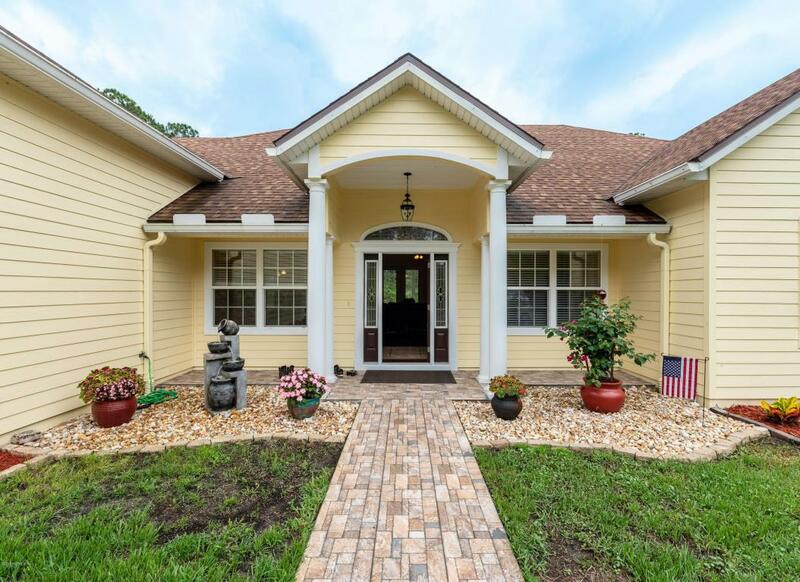 A Chef Kitchen to die for with granite countertops, open floor plan, energy efficient, bonus room upstairs, covered lanai, solar tube to let in natural light, designated office in addition to the 3 bedrooms, laundry chute in large walk-in master closet... This home was built with everything and more in mind! No need to ever worry about electricity going out... this home is pre-wired for a generator! Never run out of hot water with the tankless water heater. Many outbuildings for you to store everything and more, so bring your fun toys to this amazing property! !